Why Should You Hire Empire Law? Did you receive a traffic ticket in Las Vegas? What’s next? If you received a traffic ticket in Las Vegas, there are two different jurisdictions and corresponding courts. Your ticket will either be in the Las Vegas Justice Court or Las Vegas Municipal Court. In the majority of circumstances, if the ticket was received north of Sahara Avenue, it is considered to be in the City of Las Vegas, and will be handled in the Las Vegas Municipal Court. If the ticket occurred south of Sahara Avenue, it is generally considered under the Jurisdiction of Clark County and will be handled through the Las Vegas Justice Court. Information for each court is provided below, including links to look up your traffic tickets if you wish to pay your fines online. We always strongly suggest that you call us first, to learn what options may exist, and for the benefits of hiring a Las Vegas ticket lawyer. If you need information or a status of your pending citation, you can access this information two different ways. 1.) By using the online court case lookup, link provided as a courtesy HERE 2.) you can call (702) 382-6878. You will want to have your citation number handy, and you may be asked to confirm your date of birth and other personal information. If your citation is in warrant status, you can call the Warrant Department at: (702) 229-2067. Again, you may be required to provide personal information. 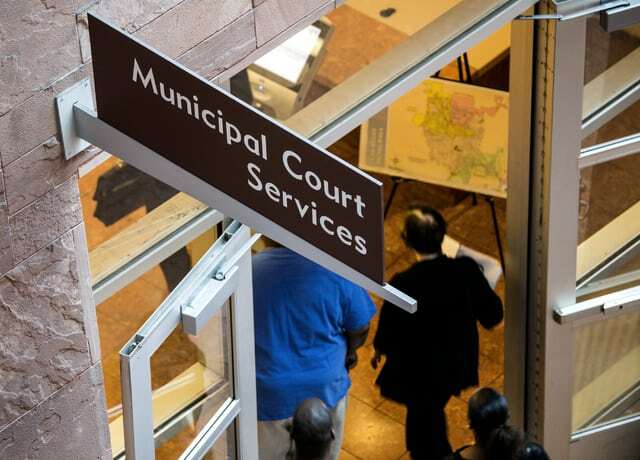 If you want to avoid the hassle, Empire Law Group can handle your Las Vegas Municipal Court citation. For most citations we can eliminate or reduce points against your driver’s license. Call us at (702) 512-7777 to discuss the options for your traffic ticket. If your citation is now in warrant status, in most cases, we can quash your warrant without you having to appear in court. If you need information or a status of your pending citation, you can access this information two different ways. 1.) By using the online court case lookup, link provided as a courtesy HERE 2.) you can call (702) 671-3444. You will want to have your citation number handy, and you may be asked to confirm your date of birth and other personal information. 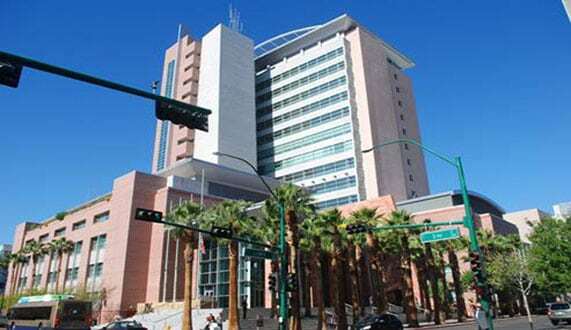 The Traffic Division of Las Vegas Justice Court Township processes any citation issued outside the city limits and in the unincorporated part of Clark County. Monday through Thursday, 7:30 a.m. to 4:00 p.m.
Payments are accepted in the Traffic Office, by mail, telephone or online. Customers may pay tickets over the Internet by using a VISA©, MASTERCARD® or DISCOVER® debit or credit card. Payments may be made by cash, VISA©, MASTERCARD® or DISCOVER® debit or credit card, personal check, money order, or cashier’s check. Customers may pay tickets over the telephone by using a VISA©, MASTERCARD® or DISCOVER® debit or credit card. The phone line for the Traffic Division is (702) 671-3444 and toll free long distance 1-877-455-1289. Do I need to appear in court for ticket? How Do I Handle a Ticket I Received in Las Vegas? Traffic Ticket or Traffic Accident? OUTCOMES OF PAST CASES ARE NOT GUARANTEES OF OUTCOME OF FUTURE CASES. Our online ticket form gives you the ability to attach a picture of driving citation, ensuring the accuracy of your citation number and making it easier for us to locate your information in the court system when we perform a traffic violation lookup. You can see a list for the types of tickets we handle. Any documents you want to provide can be provided by fax, email, txt message(702-888-6414) or in person if you prefer. We will then check the court system, call you to confirm the cost to resolve your ticket and provide instruction regarding your legal options and how you can sign our Traffic Ticket Retainer Agreement. When you retain Empire Law Group to find a solution to your traffic citation ticket, we handle everything. We will take care of the correspondence and the necessary filings with the court, appear on your behalf, and assist with your final instructions so that you can pay traffic fines. Our traffic ticket procedures save our clients from the hassles they would endure missing work or wasting precious time dealing with the court system. You won’t have to ask questions like “Where do I pay a traffic ticket? Can I pay my traffic ticket online? One of the most important parts of handling traffic tickets is to be knowledgeable with respect to the procedures and deadlines of the courts in Las Vegas, City of North Las Vegas, Henderson, Boulder City, and other outlying areas. Our staff is diligent in the immediate research of your violation and submission to court so that the appropriate correspondence and scheduling is placed on the respective court calendars as necessary. As part of our procedure, we always make sure that our clients have status information promptly provided at each step. When you hire a traffic ticket lawyer to handle your traffic ticket, you want everything done in a timely fashion so that you can pay your traffic ticket online, and avoid having a warrant issued. It is the goal of Empire Law Group to negotiate your traffic ticket, so that when applicable, it can be reduced to a non-moving violation. If a ticket is reduced from a moving violation to a non-moving violation, the result will be that no demerit points will be added to your driving record. View our traffic ticket points recap in our Traffic Ticket Faq’s. If you did not have your ticket reduced by Empire Law Group, there is a chance that you could have points against your driving record, and lose any driver discounts or simply have higher rate increase for your insurance. 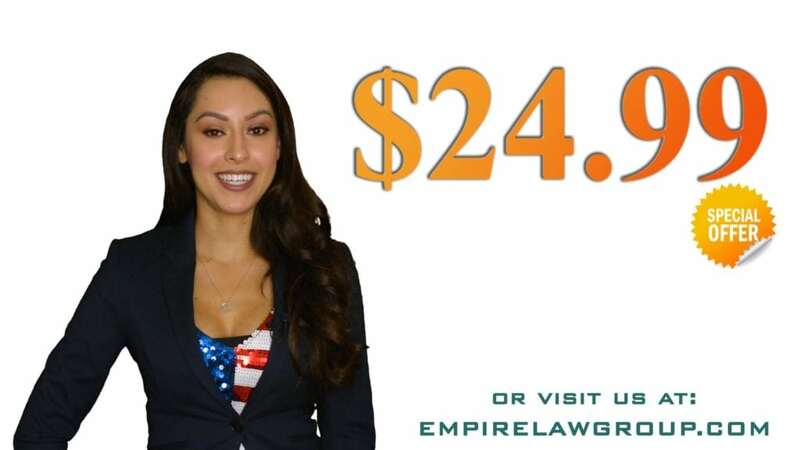 When you hire Empire Law Group to represent you in court, we can resolve your traffic ticket without additional court appearances needed. Using our solution to your traffic ticket problems, you can save yourself the headache of having to attend traffic school, and the costs associated, as well as the mandatory 5-10 hours required to satisfy the classes. In some limited cases, depending on your existing driving record, clients may still be required to attend traffic school or pay an additional cost related to schooling. These are very limited scenarios, since each case is unique this is determined cases by cases basis. Empire Law Group will represent your best interest in court and in all aspects of the negotiation of your violations. We will always endeavor for the best outcome, including outcomes such as dismissal, fine reduction, and a reduction of violation type. Securing “No Points” for your citations is our minimum expectation when we represent our clients.